This page explains all about the more physical aspects of cajons & what to look for. 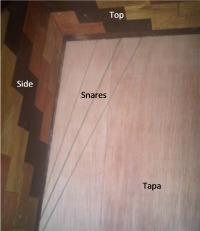 It will help you understand the important factors that combine to determine what a cajon sounds like & how it performs. We've also written a page specifically about How to Choose the Best Cajon for Your Needs & Musical Style. Literally translated from Spanish, Cajón (with an accent & pronounced Ka-hon) means case, crate, coffin, locker, drawer or tray. It may also be called cajone, cahon & cajun box drum. The cajon (cajón) is thought to have been created by African slaves working in the tea plantations of Peru, most probably in the 18th Century. The original instrument is thought to date back further to the box drums of Africa. The first cajons were likely to be tea chests/boxes used to pack the tea, played by slaves during their breaks. There are reports of strict laws about musical instruments so many would be ad-hoc & home-made. Tea Chests were a common commodity, made from thin wood, prone to warping & splitting in the wide ranges of humidity & heat they experienced. It is this splitting which is likely to have produced the characteristic rattle or snare sound of the drum, imitated today through the use of snare wires. 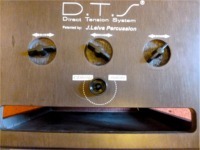 The deeper bass tones would be created by hitting the body of the tea chest to get a big resonant tone. Traditional Peruvian cajons still have no snare wires inside so are much closer to the original African box drums from which they probably originated, producing a much drier sound than those with snares. Cajons are still used to accompany many of the traditional Peruvian dances & are an integral part of Afro-Peruvian culture. Although cajons have been used for many years in their native Peru & Africa, it was not until they caught the eye of western audiences that their popularity began to grow. In the pop & commercial world, Alex Acuña, a high-profile drummer & percussionist from Peru playing on the US music scene has used the cajon on recordings & in performances since the 1970s. Yet the instrument remained 'unseen' by most in the musical world. 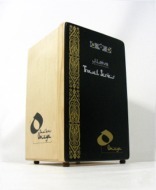 The cajon emerged from relative obscurity in the 1970s, when the Flamenco guitar virtuoso, Paco de Lucia, was given a cajon as a present by Peruvian composer & cajon master, Caitro Soto. De Lucia liked the sound of the instrument so much that he introduced the cajon into his repertoire. The instrument grew in popularity & now it is the mainstay of many styles of Flamenco music, a genre of music producing a host of today's cajon masters, such as de Paquito Gonzalez. In parallel to development of the more conventionally-shaped cajon (a rectangular box), other cultures developed their own variants. In Cuba, the cajon served a much more conga-orientated role than that of a drum kit. Consequently, Cuban cajons vary in shape, some more resembling their conga counterparts. They are also held in a different way, the top surface being played, just like the top head of the conga would be hit. The Cubans also have a large bass cajon, which is basically a cajon with a much larger playing area. This provides much deeper & stronger bass to compliment & play alongside their standard cajons. The bass cajon traditionally has no snares & often substitutes for the tumbadora (bass) lines in the rhythm. 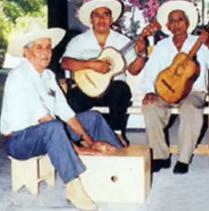 The cajón de tapeo, tapeador, cajón de tamboreo or Mexican cajon is a wooden box drum traditional to Southern Mexico. Played by slapping the top face with a piece of wood in one hand & a bare hand, it was developed as a substitute of the dance floor in certain musical styles. As the cajon has gained popularity through TV concert & film exposure, so its design has also evolved & adapted. What started out as a simple box can now be adorned with all sorts of accessories, from bells & jingles to wood blocks to being played with a foot pedal in the same way as a conventional drum kit. No longer is the cajon just a solo instrument; it is regularly integrated into standard or modified drum kit set-ups, often surrounded by the rest of the percussionist's arsenal of effects & instruments. Cajon manufacturers have changed its shape, proportions, materials & construction to obtain new sounds or what they consider to be sound variants & improvements or modifications on the original. Materials such as plastics, fibreglass, carbon-fibre & acrylics have been use in all or part of the body construction. Just like the different types of wood, each material has its own sound properties. Some cajons are designed with snares that can be on or off at the flick of a switch or twist of a lever, whilst others are fitted with their own microphones which provide excellent isolation for amplified live playing situations. 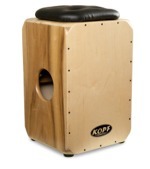 (this page asks the important questions & focuses on the key considerations which will enable you to choose a cajon that fits your musical situation & that YOU WILL WANT TO PLAY). Our Key Advice: No doubt 'better' & 'ultimate' designs will continue to appear. However, it is important to remember that no matter how good the construction or sound, the instrument only sounds as good as the player & how they use the tones available within the context of the music they play. Cajons are becoming increasingly popular in a wide range of musical styles & are now produced by a wide range of manufacturers, making them accessible to many more players. They are definitely a 'hip' drum of the moment. However, that also means they run the risk of being labelled like other popular drums (e.g., the djembe): nice but overused! Whilst still prominent in Flamenco music, the cajon has spread to most other music genres: Rock; Pop; Latin; Folk; Traditional ... the list is VERY long. 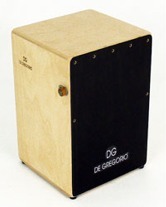 Use on TV by high profile acts boosts the cajon's popularity still further, making it a 'must have' for many players. 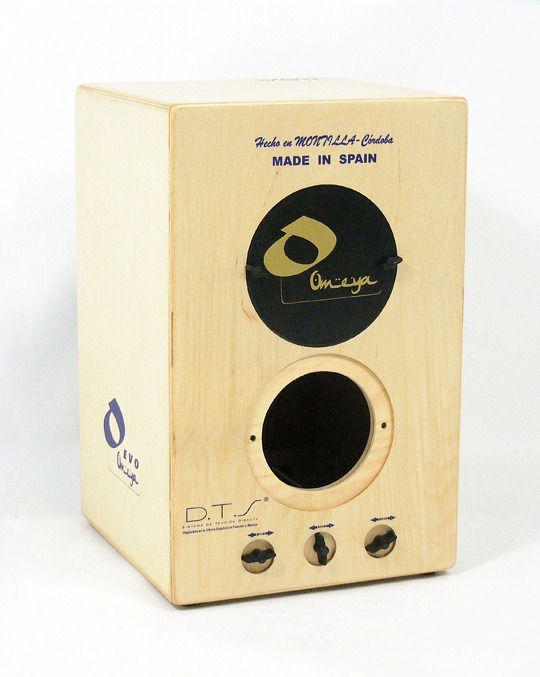 Successful adaptation of the cajon to other musical styles has been thanks to the creativity and sensitivity of the musicians who play them, players like Alex Acuna, Sheila E, Marco Fadda and the late, great Miguel 'Anga' Diaz. Most people use the cajon in place of a conventional drum kit but there are many other ways it can be used to fit in, either with or without a drum kit. It may be used as an effect through to the only rhythm instrument in both live & recording situations. Add the possibilities afforded by miking-up & equalisation/effects & the opportunities are almost endless. The recent mini-surge in use of cajon pedals, specially adapted bass-drum pedals to play the cajon has also opened the instrument up to many kit players who would not otherwise have considered it as a viable instrument. However, the danger with any adaptation is that we become totally polarised or too narrow in our thinking. So, for example, players use a bass pedal to play the bass notes on the cajon & the instrument becomes relegated to little more than a quiet bass drum. Our Key Advice: All adaptations have their advantages & disadvantages: it's up to the players to exploit these fully, not just the manufacturers to sell you something else that you don't really need or can't use. Some players still prefer to make their own cajons from raw materials. 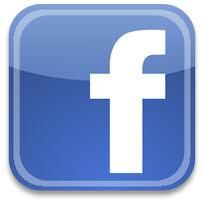 There are lots of good videos on YouTube & web sites that will show you how. However, this is a tricky process, not so much in putting the materials together but in choosing the best raw materials & knowing how to put these together to produce a cajon that performs well & sounds excellent. The cajon may 'just be a box' but there is far more to getting a great sound than simply putting the pieces together. Don't forget that many of the traditional manufacturers have done it for a long time, have a family musical heritage or have spent a lot of time, effort & money in developing their own process & modifications. The big advantage of making your own cajon is that you can source the highest quality materials, rather than just putting up with a good-looking cajon made from inferior woods. That is a choice you will have to make for yourself, but if you are interested in making your own then hopefully the next section on the basics of what a cajon is, the key features of a cajon & how it is built will help you in your quest to find the ultimate cajon for your needs. 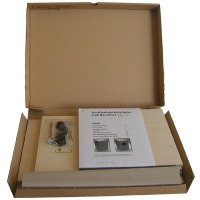 If you prefer to assemble a cajon from pre-cut pieces, there are a few manufacturers that sell 'build-it-yourself' cajon kits containing everything you need to build your own cajon. One advantage with these is that you are using parts that you don't have to worry about choosing your own woods etc. The disadvantage is that choosing your own materials may be part of the challenge of building your own cajon. There can be a lot of satisfaction in building your own cajon & then using it in a playing situation. PLEASE NOTE: We do not have any experience in making our own cajons but we hope that our experience & attention to detail in the cajons we play will help you. And so we arrive at how cajons are constructed. This is not an exhaustive account, but it is thorough. 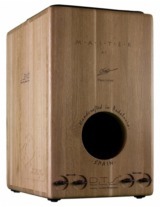 The aim is to help you understand more about the cajon so that you can make a more reasoned choice. A cajon, as it its name literally translates, is a box. Please note that even 'standard' dimensions do vary by manufacturer & by model. The top, sides & base are usually manufactured from thicker, ca. 12mm marine plywood. Materials vary, but harder, more 'sonic' woods such as beech & birch are the mainstay of most manufacturers. The back of the cajon is often slightly thinner with a hole cut in to allow the air & bass tones to escape. Size of this hole varies, as does its location: some cajons the the hole towards the top & others towards the bottom of the rear face. The front (Tapa/Top) face is much more variable in design, colour, material & thickness. 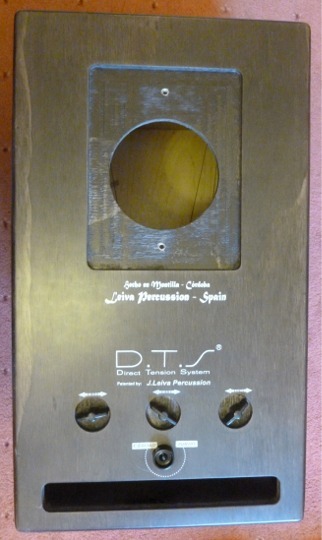 The tapa face construction influences the overall sound of the cajon much more than many realise. It is often thinner, denser, harder materials that give superior high & slap tone (more about this later). 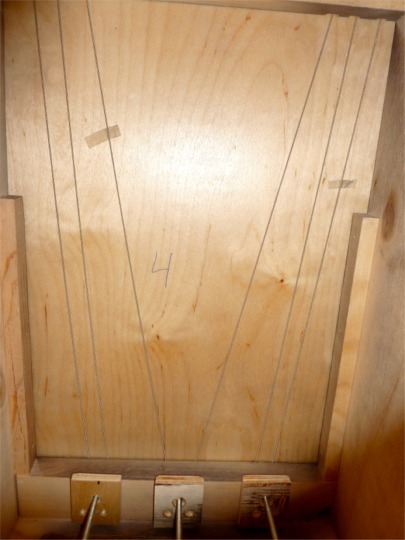 Joints between the sides are critical when it comes to durability & quality of sound. Many manufacturers use a simple lap joint or a rebated joint. Some handmade cajons use dovetail joints. Internal reinforcing of joints will prolong the life of the cajon & make it more stable & less likely to become distorted or out of shape. 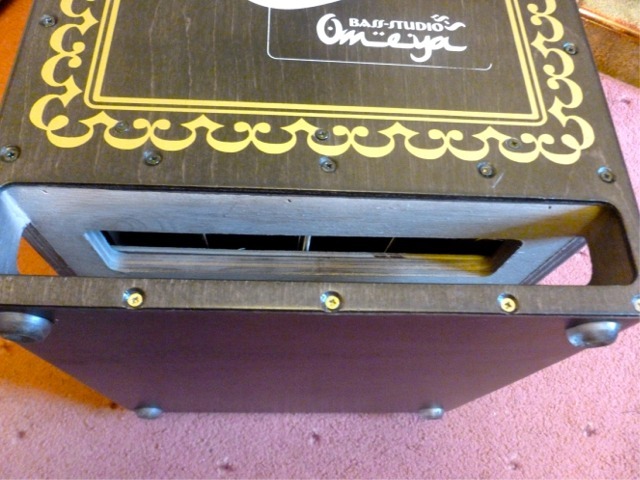 All manufacturers will give the cajon some kind of feet or pins. These not only make the drum more stable & less prone to sliding when being played but they also isolate the cajon body from the floor, increasing resonance & producing a deeper, more rounded bass tone. The feet may be made from felt, rubber, plastic or simply be metal points or spikes (though the latter are rarely used & not good for solid floors). Our Key Advice: Always ensure that the cajon you wish to buy is well constructed. Cheapest is sometimes false economy as cheaply-made cajons rarely last as long or perform as well as their more expensive counterparts. In our opinion the name on the front, back or side of a cajon is less important than the sounds produced by the instrument. That said, a number of 'high profile' brands make cajons which buyers flock to because they are well known. Unfortunately, many of these big names defer manufacturing to the Far East where workers know nothing about the instruments they are building & use materials that are inferior in sound. They are well made but just don't 'cut it' when compared to other smaller, lesser-known, more bespoke manufacturers with much smaller advertising budgets. Having tried many cajons made by the big boys, they are not worth half the money that is being charged. many sound dull, boxy (profusion of mid tones) & ill-defined, with an uncontrollable snare buzz. Sure they sound good mic'd up, but so does a cardboard box. Our advice is be prepared to shop around & try some of the lesser-know brands, especially those of Spanish origin which have a true cajon pedigree & history. Some cajons made in Germany also sound excellent, are really well made but cost a bit more. Our Key Advice: Always go by sound not by name. Try cajons wherever possible or use someone you trust & who knows what they are listening for to help you select a good cajon for you. In our experience, few music shop assistants know anything about cajons. Another key component of a cajon's sound is the materials from which it is made. 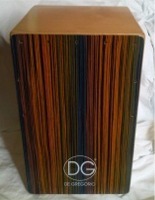 Cajon bodies made from hardwoods like Beech & Birch Marine Ply are both excellent in their sound properties & durable. Birch is a higher density wood, renowned for its broad dynamic range, producing cracking high tones & deep, punchy bass tone. It is also considerably more expensive. Beech is a good wood for cajons, still producing a wide range of tones. Some manufactures use mahogany or mahogany-type hard woods which are quite strong in bass tones & give good cracking high tones. Oak, which is very hard & renowned for its volume, is another wood that occasionally finds its way into cajon manufacture. Plastics & fibreglass are also used. The are very strong & durable but they also give a very 'coloured' sound which is quite warm & rounded. They also claim to be louder, but for the majority of cases this is largely irrelevant as if you are playing in an amplified situation, your cajon will also be amplified. Our Key Advice: Whatever material is used, it should be of high quality & free from defects. Checking the inside of a beautifully polished cajon can be very revealing when it comes to build quality & material quality. 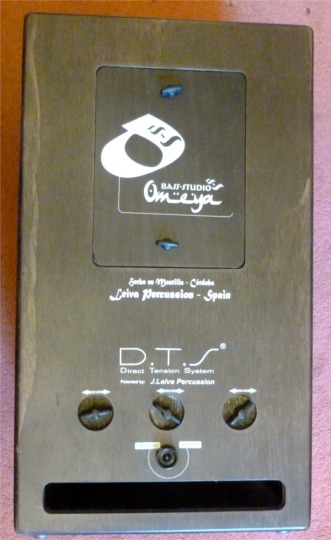 The tapa or front face of the cajon seems to get more attention from prospective buyers than any other part, probably because it is the bit that the audience will see. HOWEVER, THE DESIGN, COLOUR & APPEARANCE OF THE TAPA HEAD IS PRETTY IRRELEVANT TO THE SOUND OF THE CAJON: IT IS COSMETIC ONLY. The most important consideration for the tapa face is the material it is made from. Designs, finishes etc are usually only the top very thin layer of a multi-layer piece of wood (unless of course it is plastic). A good tapa plate is made of more layers of thinner plies to give an overall 'denser' material. Beware of tapas comprising fewer, thicker plies as these do not produce such crisp high tones, instead producing more mid-based tones. Typical thickness is around 3-4mm. Some tapas are made of synthetic materials such as plastic, acrylic or carbon-fibre. Each has its own sound characteristic but the advantage of materials like carbon-fibre is that one can produce thinner tapa faces that are much stronger & more resonant. However, these are also usually a lot more expensive. Some manufacturers use screws along all sides of the front tapa head. 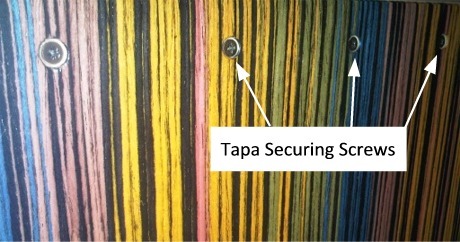 Others have the tapa glued to around halfway up & then use screws on the top half or third of each side & along the top. The difference in sound seems to be very little. The top two screws on either side can be used to adjust the tone of the tapa head & some players slacken these to leave a very small space between the main body & the tapa to add extra click to their high tones. Our Key Advice: The tapa face will be played more than any other part of the cajon & is responsible for a lot of the tone (high & resonance for bass tones), take time to ensure that it is made of high quality materials. Do not get side-tracked by colour or appearance (other than being happy with the finish). Always check that there is a good separation of high & bass tones when playing the cajon, especially with cheaper models where mid-tones can 'mask' both the highs & the lows. Most cajons will have snares to give some rattle or buzz to the high tones. However, some cajons are purpose-built without snares. The two sound very different: know what you want. Most cajons will have snares. These should produce a controlled buzz with the higher tones & gentle (ghost) strokes & be relatively muted, almost absent when bass tones are played. Clarification of String cajons & Snare Cajons: Some manufacturers have introduced the terms 'Snare Cajon' & 'string cajon' which have added a lot of confusion for customers. The majority of cajons today use wires or strings to produce their buzz. These are almost universally called 'snares'. However, some manufacturers may call these 'strings' because they also use fanned snare wires (similar to brushes used by drum-kit players) to produce their buzz. They call these 'snares'. 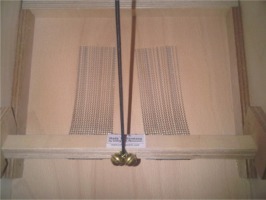 Some cajons, such as the Schlagwerk 2-in-1 cajon, have snares which look like the wire brushes used for playing a drum kit, which can be taken off if required, simply by lifting them out. These are not adjustable for tension but in our experience do produce a good, well controlled snare sound. Meinl have refined this design slightly with some of their more recent cajons. The simplest way to refer to cajon sounds is using the terms 'low' or 'bass' & 'high' or 'snare' & understand that the difference is in how the snare sound is made. The use of guitar strings is pretty much universal on high quality authentic instruments & many of these have refined mechanisms for tuning/tensioning the snare wires. As for differences in sound between the two types of snare arrangements, it is personal choice, made with our ears: If it sounds great to us, that is most of the battle won! The number of actual snare wires varies by manufacturer & model but typically one or two pairs of wires is used. Some models use 2, 3 or 4 independently tensioned pairs of snare wires. Although more wires can create more snare rattle or buzz, it is also the tension of the wires that influences how much buzz there is. The increased number of wires, such as 3 pairs, allows more flexibility in snare buzz across across the face of the cajon; but these drums are considerably more expensive & probably the difference is only really noticed by an experienced or trained ear. On some cajons the tension of these snares is adjustable, allowing you to change the snare response & buzz by simply loosening or tightening the snare wires/guts/brushes. Care should be taken not to over-tighten or over-loosen the snares as this is be detrimental to the sound. All cajons made by J Leiva are fitted with novel, easy-to-adjust external snare tension mechanisms. 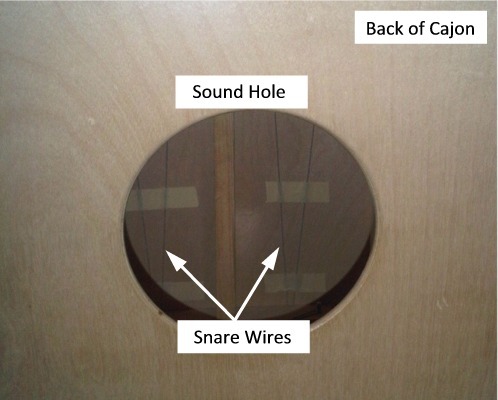 Snare wires are attached directly to a dial-type knob situated on the outside of the cajon which you turn clockwise to increase snare tension (tighter sound) or anti-clockwise to loosen the snares (looser snare drum type sound). 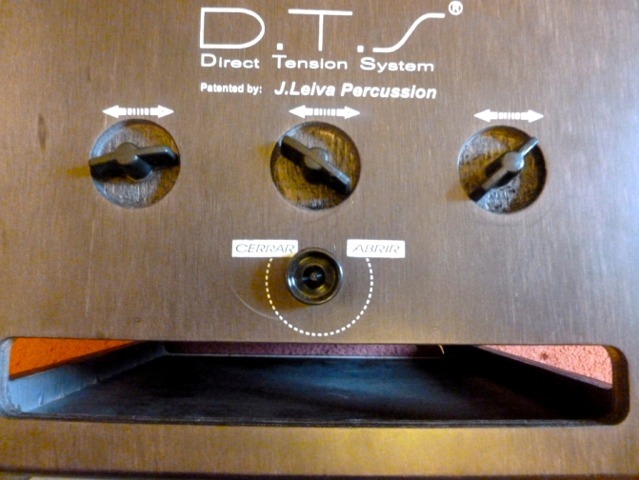 Called the DTS or Direct Tension System (earlier models still carry the original Spanish, Sistema de Afinación Directa, roughly System Direct Tension or STD which was understandably changed for the UK market!) is quite unique in that it is fitted on the 'entry level' cajons, giving professional adjustment which has not previously been available at this level. The Gon Bops Alex Acuna cajons, manufactured in Peru, have addressed the issue of excessive snare buzz by using diagonal snares across the top corners of the tapa. These only vibrate when the top corners of the tapa are played, leaving bass note completely buzz-free. The sound may be a bit too dry for some players but the sound is more reminiscent of the original Peruvian cajons which had no snares. These snares are not adjustable. 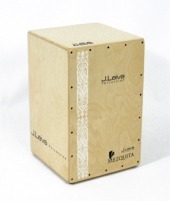 The Leiva Omeya Bass Studio cajon includes 3 sets of independently adjustable snares; one pair to each top corner & a single central snare split with a single wire to each top corner. This arrangement allows more subtle snare adjustments depending on a player's personal preference. Snares On, Snares Off or Choice? The majority of cajons made either have snares that are in contact with the tapa head all-the-time (though as we explained above, their tension can be adjusted) or cajons that have no snare wires. In order to increase flexibility of the cajon, some manufacturers have introduced removable snares which can be either 'on' or 'off'. 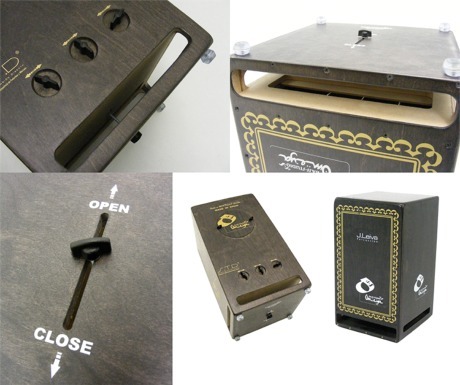 Adjustment of these can be simply via a lever or knob on the outside of the cajon (such as with the DG Zambo cajon shown right) or they have to be manually removed, that is, they cannot be removed quickly during a performance (such as with this Schlagwerk 2-in-1 cajon). Once again, choice of this facility is your. 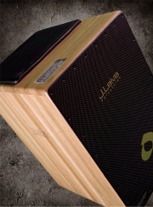 The advantages include greater flexibility & increased range of tones available from your cajon. The disadvantages can include less consistent snare sound, especially after time when the mechanisms may be loose through wear. Our Key Advice: Flexibility in tensioning snares is available on some models of cajon. Always listen for the sound of the cajon, rather than worrying about how it is made. If you choose a cajon with snare wires ('strings') it is always worth checking how easily the snares can be replaced in the (rare) event that one should break as replacement can be lengthy, fiddly & quite a specialised exercise in some cases! The cajon is a box & a box is an enclosed, sealed space. In order for sound to escape, there must be an exit point for the air that is compressed when the front face is struck to exit. If there is no exit, the drum will produce good high tones but there will be no resonant bass tone. 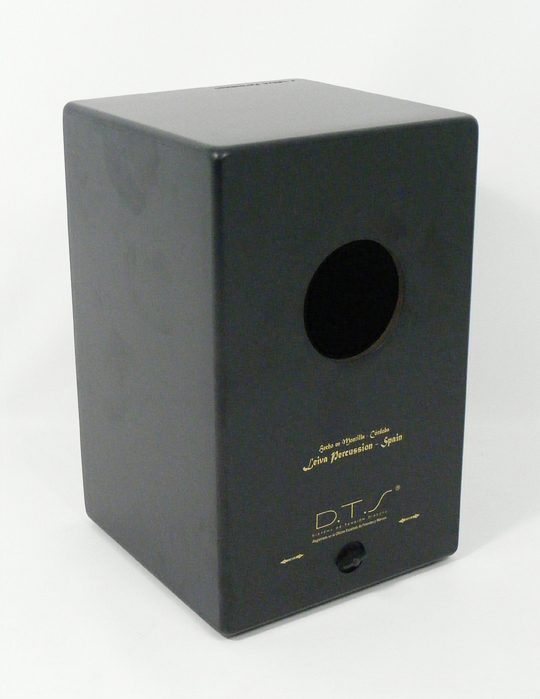 Cajons use a hole, typically situated at the rear, to allow air to escape & produce a bass tone. The big advantage of a rear sound hole is that if you wish to use a microphone on your cajon you DO NOT have to resort to complex internally mounted microphones & you do not have to worry about knocking the microphone stand etc with your foot when playing. A sound hole on the back face of the cajon is directly opposite the tapa face so offers the most direct (& therefore rapid) exit of the air from inside the cajon. Exact positioning of the hole varies (again!) by model & manufacturer. Some have the hole located nearer the bottom. Some cajons use an air-hole located in a side panel which just seems to put everything in your way when using the cajon in an amplified situation. Centre Back - Has more punch & volume at the expense of resonance, producing a quicker, precise note that is great for recording, but may lack the depth of tone that many players love about cajons. Optimal position for you depends on personal taste: only you can decide. Our Key Advice: Ensure that you choose a cajon with a sound hole located in a position that does not interfere with your posture when playing & which does not lead to problems when using microphones for amplification. 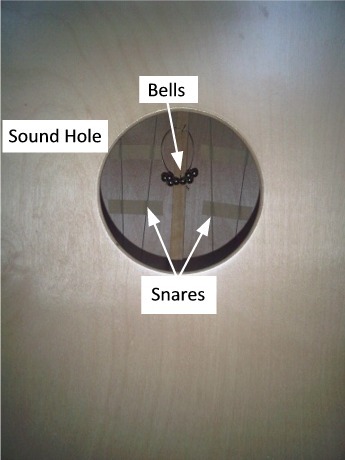 An off-centre hole will provide more depth to the sound at the expense of volume. 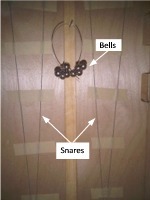 Bells: Some manufacturers add small clusters of bells to a front supporting bar just behind the tapa. These sound when the tapa is struck, adding a very high pitch jingle to the high tones & bass tones, which although rarely consciously heard, provide increased 'cut' to the sound. They may also be used as an added effect. It is a matter of personal taste whether you like these and the quality/tone of bells varies greatly by manufacturer & model; some are more effective than others. Bells are not fitted by all manufacturers. Enhanced Bass Response: Some manufacturers add specific extras to their design which boost or enhance bass tones. Some, such as Pearl, provide a flared sound hole which reputedly acts as a horn or amplifier to give a bigger bass sound. these are usually an integral part of a plastic or fibreglass-bodied cajon. J Leiva manufacture two or three higher-priced cajons with features which enhance bass-to-top tone separation, tailoring them to use in the recording studio. This may be achieved through the use of a rear compression-plate to cover the rear sound hole, thereby increasing compression & helping to eliminate the high- and low-mid tones which contribute to a woody or boxy sound. These can also muddy the sound, making high and low tones less distinct. 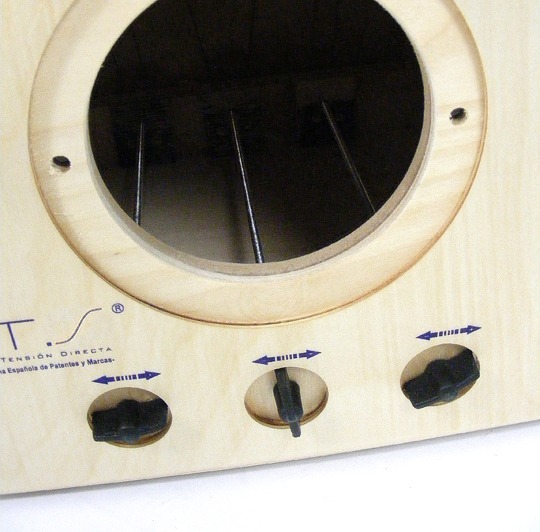 To allow air to escape, a false bottom is included in the cajon (or the drum is raised off the floor on short legs & into the bass of the sound chamber is fitted an adjustable sound slot. This focuses the bass tones (similar to the reflex bass bin system) producing a more pronounced bass note. These cajons are sophisticated in design (reflected in their price) but can offer a distinct advantage to musicians who spend most of their time in the recording studio, enabling a good recording source for rapid set-up and EQ (equalisation). They also provide an excellent sound in live situations by virtue of this top-bottom separation & enhanced, clear bass tone. Cosmetic & Non-Cosmetic Changes: Manufacturers are always looking to improve their products functionally, update them appearance-wise or provide something that fits a niche otherwise unfilled. An example of cosmetic change is in the appearance of DG cajons, especially their logo over the years. 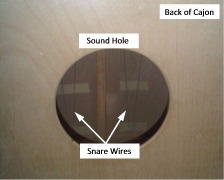 Manufacturers may also change specifications of their cajons, such as, how they position, dampen or tension their snares, what type of snare is used, relocation of the sound hole, change in materials from which the cajon is manufactured or change in bass port adjustment as described above). However, one should also be aware that as brands become established on a good reputation, manufacturers may also be looking to cut costs in manufacturing, perhaps through the use of less reinforcing, cheaper quality components or cheaper quality of wood used. Each of these can have a significant effect on the life, sound & reliability of the cajon. We have found that some brands have made such changes resulting in an inferior sounding product. That is why we always recommend listening before you buy: just because on cajon sounded good two years ago, never assume it still will. You may be surprised to find that it sounds better, which is great, but you may be disappointed (& always bear in mind that each cajon will sound different anyway, so it really is up to using your ears or trusting someone to make a good choice for you). Travel Cajons: These relatively new additions to the cajon stable are designed for the travelling percussionist. 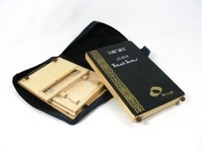 Breaking down into a flat-pack case, they are ideal for taking on planes and fitting into small spaces. These are expensive pieces of kit (usually retailing in excess of £400) so designed for the professional (or the musician with an endorsement!!). Their sound is usually superb (as you'd expect for this kind of money) but the balance between portability and cost is an important issue when considering these drums; in our opinion portability must be the priority to justify the cost. Our Key Advice: Trust your ears & take time to inspect each cajon. Do not go on publicity materials published by the manufacturers but search out independent review, ask people you know & trust who play cajons for their advice, ask experts who can help you through the maze of understanding cajons. Your cajon can sound VERY different depending on where you are located & the environment (room) you try/play it in. If you are near to a solid wall or radiator, the drum will sound louder and you may get enhanced bass tones. If the room is carpeted or you are near upholstery, wall hangings or curtains, the bass tones will tend to be absorbed and you will hear more mid and high tones. So try to test your drum placing it in the middle of a room & make sure each drum is placed in the same position when played. Keep it away from other resonant surfaces or instruments such as pianos or bass drums or toms or radiators: each of these can enhance bass frequencies & resonance. if in doubt, move around the room & listen to the cajon when it is in different locations within the room. It is also important to play the drum yourself & listen to how it sounds, then get someone else (who can play) to play the cajon when you are stood next to it (so you can hear how it sounds) and then when you are stood 6 - 10 feet (ca. 1.75 - 3 metres) in front of it: the drum will sound very different from these two positions! Our Key Advice: Although this last section is more related to choosing a cajon, it is important to know about & understand so that you will be better equipped to compare cajons against each other in a more standard way, which can be very difficult if you listen to different models in different shops or even different rooms within the same shop. One recent introduction we get asked about more & more is the cajon pedal. Kit players will be used to the idea of using the feet to play bass drum, hi-hat, effects etc. 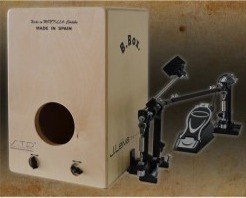 A number of manufacturers have started to adapt the traditional bass drum pedal so that it fits to a cajon, allowing the player to use their feet. Many of the videos seem to be lacking in creativity as the cajon becomes little more than a quiet substitute for a bass (kick) drum. 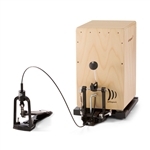 Indeed the design of pedals by manufacturers like Schlagwerk & Gibraltar position the pedal beater so that it plays the front (tapa) head of the cajon. The main problem with this design is that if you want to combine feet & hands, the beater is directly where your hands would play. So, it is pushing the player to use the cajon as a bass drum, whilst freeing one of their hands to play some other percussion, shaker, snare drum etc with their free hand. Leiva have also just introduced a cajon & pedal combination called the B.Box. 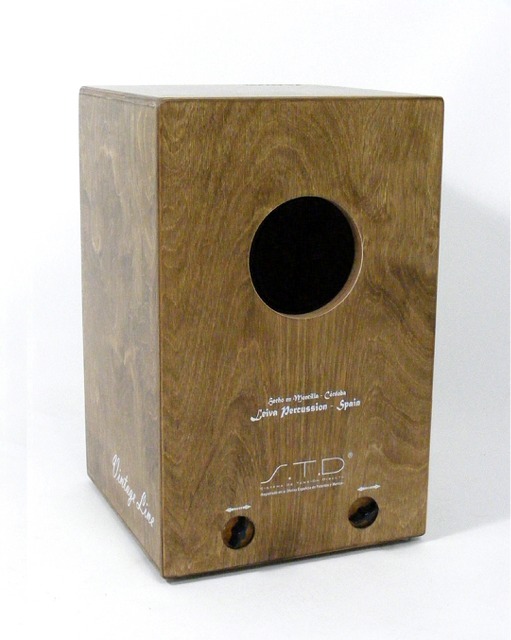 This is an innovative design in that the inside of one side of the cajon has been routed-out to produce a thin area of wood, resembling the tapa head, which is more resonant & therefore, more bass-orientated. This now leaves the front tapa face free for playing with both hands if desired, opening-up new opportunities for interplay between the hands & feet. 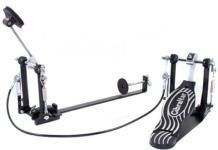 The pedal is available separately & can also be used in a conventional way, like the Schlagwerk & Gibraltar pedals where the beater plays the tapa face. There will always be discussion & disagreement on whether pedals have a place in cajon playing. My personal view is that if the tool is there use it, but don't be restricted by tradition or lack of imagination. Try new things; experiment. Choice is a personal thing. It may open your playing up to be more creative or you may feel more constrained to playing the cajon like a traditional drummer. Pedals are not overly expensive although the Leiva pedal & custom made & modified Medina cajon is not a cheap option. However, as with all choices, each must decide how price, functionality & use fit together. For some of us it will be too expensive; for some it will be worth the money. Our Key Advice: Take your time & try out different pedals. Some will suit you; some won't. Move the foot pedal to different positions to ensure smooth working when it is in the correct position for you (some pedals can be restricted as to how far the pedal can be moved before pedal function becomes impaired). Listen to the sounds they make & check for the amount of bass tones that you are happy with. We are all looking for a bargain or best value for our hard-earned money. However, cajons like any musical instrument are highly variable in price & quality. Some of the major brands will price cajons well above their true value, relying on the power of the brand to attract their customer. hopefully, the hints, tips & our experience with cajons outlined above will help you understand what to look for in a good (& a bad) cajon. Price is very subjective BUT in general you get what you pay for, especially when dealing with the smaller more bespoke manufacturers where cajons may still be largely handmade. For reputable makes, price more often reflects the amount of effort that goes into making the cajon & the materials from which it is made. Be aware, that it does not always reflect the quality of sound. We recommend that you set your budget & then look around for your cajon. There are now so many makes & models on the market that it is pretty easy to get a great sounding cajon within your price bracket. If you are serious about your instrument, it is unlikely in the UK that you will be able to buy a really good sounding cajon for much under £100. A realistic starting price range would be between £90 & £150 where there are many really excellent models available. Our Key Advice: Always remember that every cajon will sound different; even the same model made by the same manufacturer. It is possible to find a great sounding cheaper cajon & conversely, a poor-sounding expensive cajon. High price does not necessarily bring great sound; that is for you & your ears to decide. cajon manufacturers are spread throughout the world. There are many really excellent (but small) manufacturers in Spain. There are equally many individuals & small manufacturers in the USA, Australia etc. The small businesses do not have the mega bucks advertising budgets & global dealerships that the big brands have. As a result, different cajon makes may only be available relatively close to where they are made e.g., in Europe or in the USA. 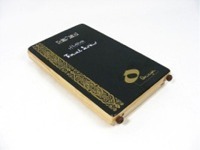 DIFFERENT COUNTRIES STOCK & SELL DIFFERENT CAJONS BY A DIFFERENT RANGE OF MANUFACTURERS. For example, the J. Leiva cajons we sell are made in Spain & available in the United Kingdom (UK) & most European countries but they ARE NOT yet available in the United States of America (USA). That is why we recommend that you contact us if you live outside of the UK & Europe as shipping costs can be equivalent to the cost of the cajon & for what you would pay for cajon & shipping, you could spend on an equally good cajon from your own region or country.